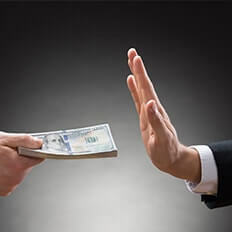 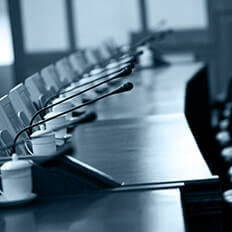 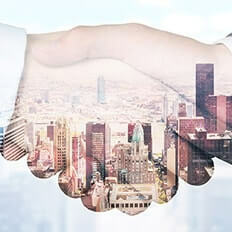 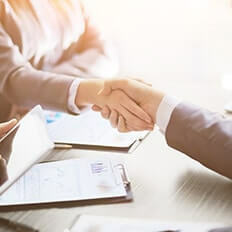 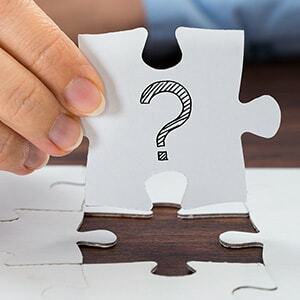 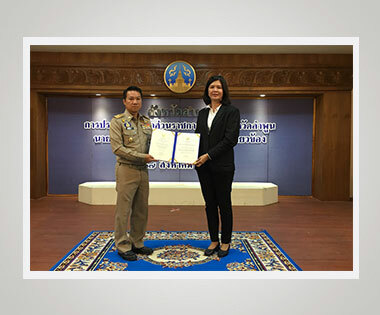 Thai President Foods Public Company Limited has been issued a certificate of membership of Thailand’s Private Sector Collective Action Coalition Against Corruption. 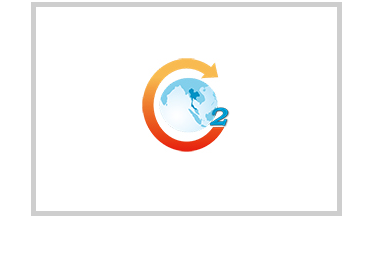 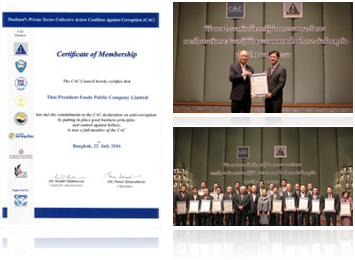 On August 16, 2016, Thai President Foods Public Company Limited has been issued a certificate of membership of Thailand's Private Sector Collective Action Coalition Against Corruption, Q2 2016 on July 22, 2016 by the Board of Directiors of CAC counsil. 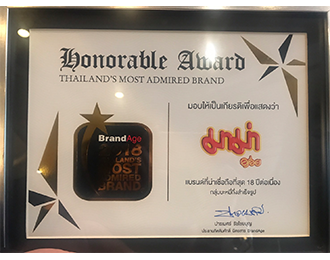 On 27 June 2016, Dr. Pipat Yodprudtikan, Director of Thaipat Institute met with Thai President Foods’ executives to congratulate and hand over the ESG100 2016 Certificate as one of 100 Thailand’s listed companies with outstanding performance in environmental, social and good corporate governance management. 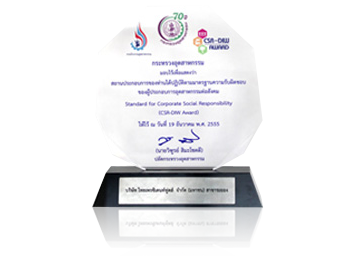 The award is given based on assessment of business sustainability of 621 Thailand’s listed companies. 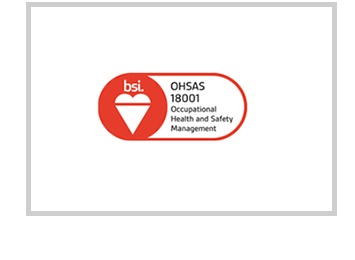 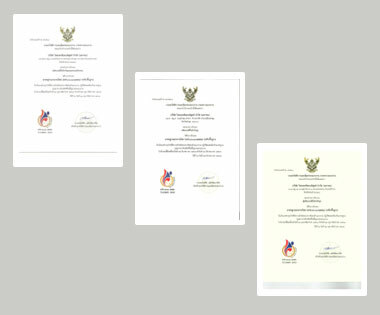 Thai President Foods Public Company Limited has been certified of OHSAS 18001: 2007 (Occupational Health and Safety Management System) by BSI Group (Thailand) Co., Ltd.
Thai President Foods Public Company Limited has been of ISO 14001:2004 (Environment Management System) by BSI Group (Thailand) Co., Ltd.
2015 from Food and Drug Administration given to a company producing health products with ethics to keep the products up to standard and safe. 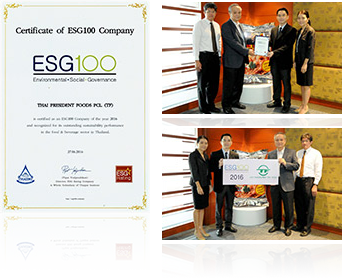 On 2 June 2015, Dr. Pipat Yodprudtikan, Director of Thaipat Institute met with Thai President Foods’ executives to congratulate and award the ESG100 2015 Certificate as one of 100 Thailand’s listed companies with outstanding performance in environmental, social and good corporate governance management. 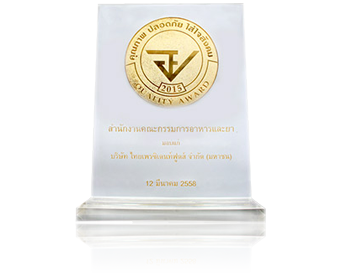 The award is given based on assessment of business sustainability of 567 Thailand’s listed companies. 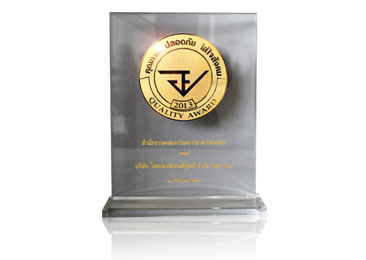 Receiving the award for getting 100% score from quality assessment on Annual General Meeting for 5 consecutive years (2010- 2014). 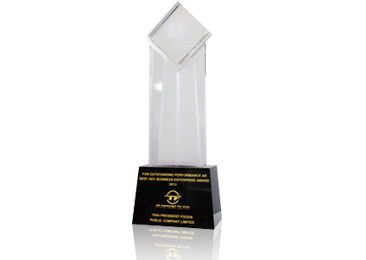 CSR-DIW Award Project was hosted by Department of Industrial Works, Ministry of Industry. 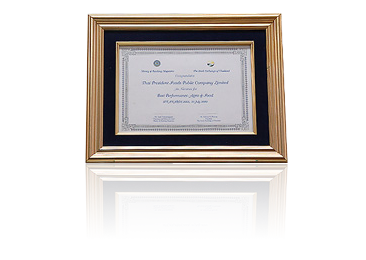 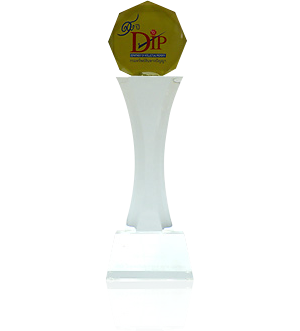 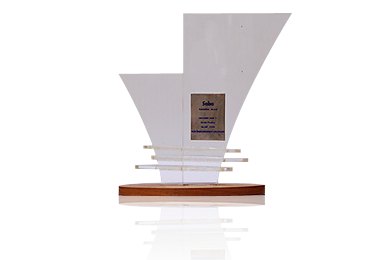 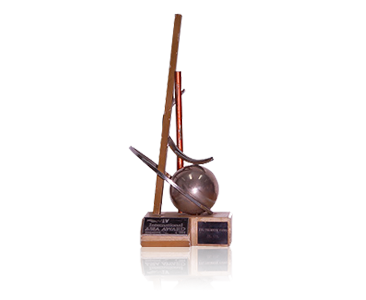 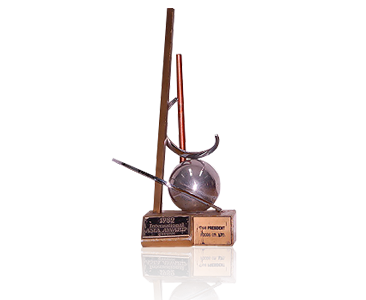 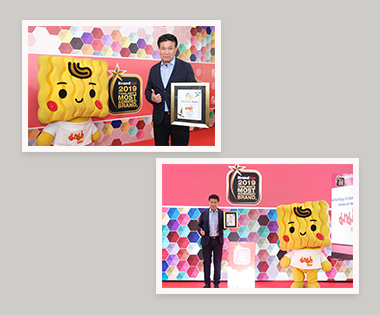 FDA Quality Awards for Food Manufacturer from Food and Drug Administration, Ministry of Public Health. 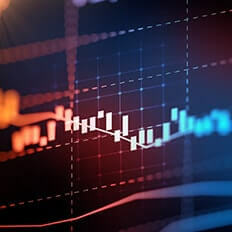 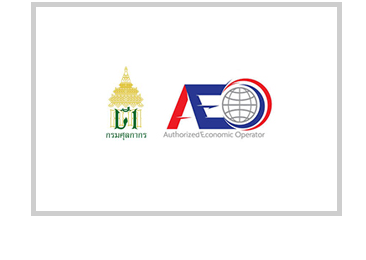 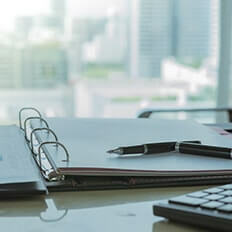 Thai President Foods Public Company Limited has been certified of Authorized Economic Operator (AEO) by The Customs Department. 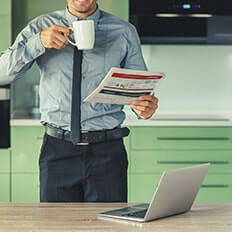 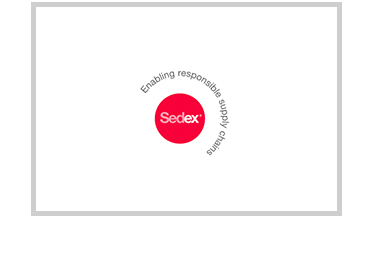 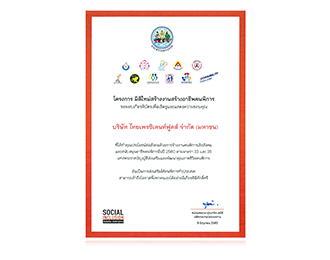 Thai President Foods Public Company Limited has been certified of Sedex Members Ethical Trade Audit/ Ethical Trading Initiative (SMETA -4 Pillars) by SGS (Thailand) Limited. 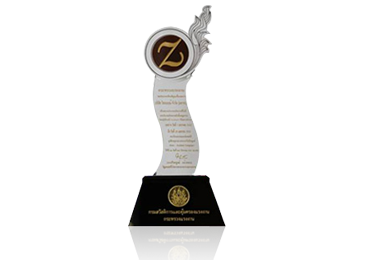 Award for Zero Accident Campaign from Ministry of Labor. 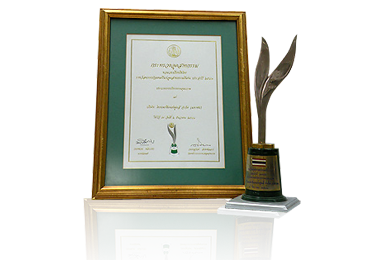 Rayong Factory was awarded the 2011 Rayong Outstanding Halal Business Certificate. 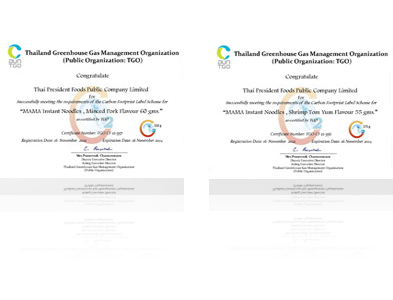 Thai President Foods Public Company Limited has been certified of Good Manufacturing Practice (GMP Codex) by SGS (Thailand) Limited. 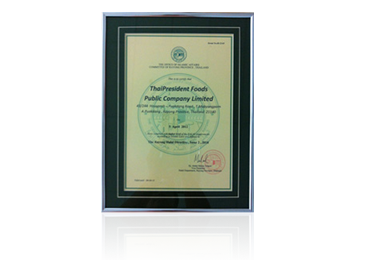 Thai President Foods Public Company Limited has been certified of Hazard Analysis Critical Control Point (HACCP) by Department of Fisheries. 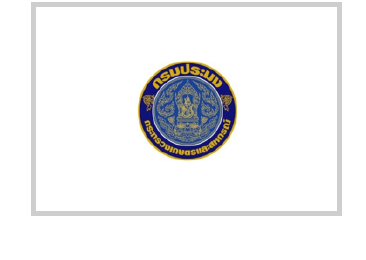 for Trademark from Department of Intellectual Property, Ministry of Commerce. 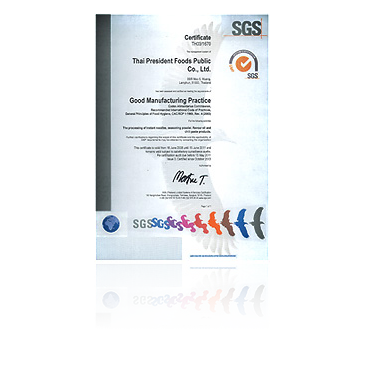 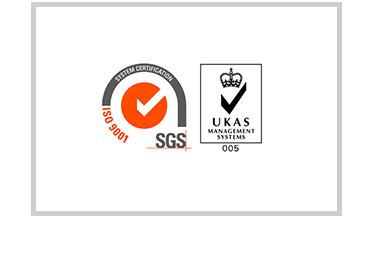 Thai President Foods Public Company Limited has been certified of ISO 9001: 2008 (Quality Management System) by SGS (Thailand) Limited. 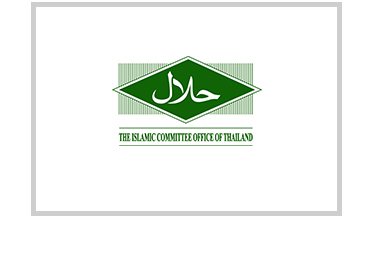 Thai President Foods Public Company Limited has been certified of HALAL by Jabatan Kemajuan Islam Malaysia (JAKIM)/ Department of Islam Development Malaysia. 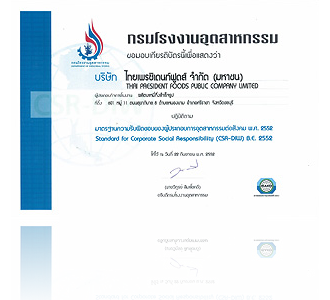 Thai President Foods Public Company Limited has been certified of BRC Global Standard For Food Safety by Bureau Veritas Certification (Thailand) Limited. 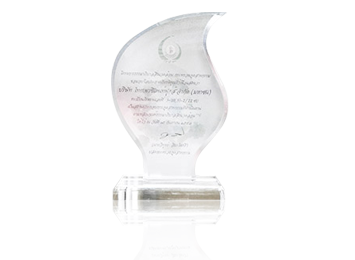 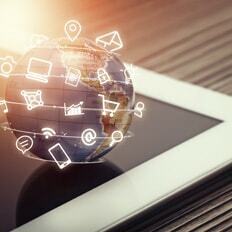 "Thailand’s Most Innovative Company 2008"
from the Cooperation between Department of Commerce and Accounting, Chulalongkorn University and Bangkok Business Newspaper. 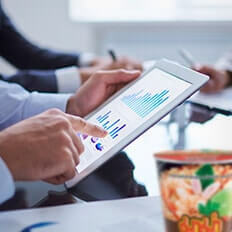 Thai President Foods Public Company Limited has been certified of Hazard Analysis Critical Control Point (HACCP Codex) by SGS (Thailand) Limited. 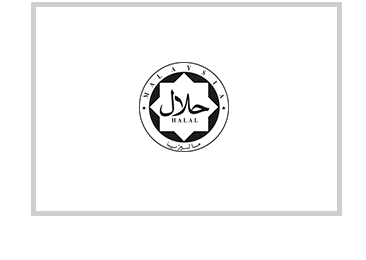 Thai President Foods Public Company Limited has been certified of HALAL by The Central Islamic Committee of Thailand. 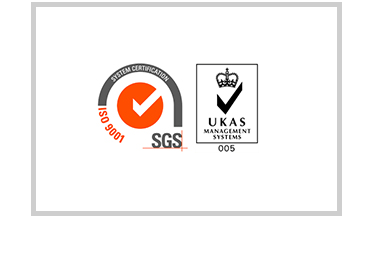 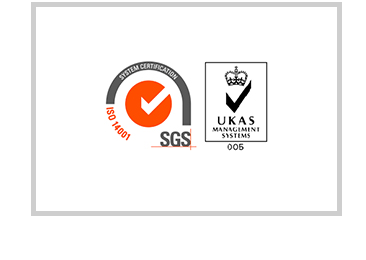 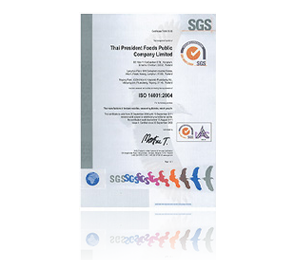 Thai President Foods Public Company Limited has been certified of ISO 9001: 2000 (Quality Management System) by SGS (Thailand) Limited. 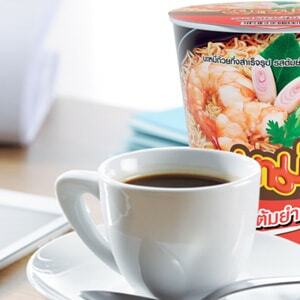 The Second Winner of Product InnovationMama Instant noodle in Paper Cup & Bowl from Saha Pathanapibul PCL. 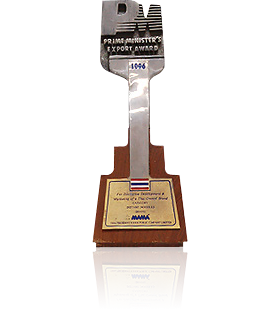 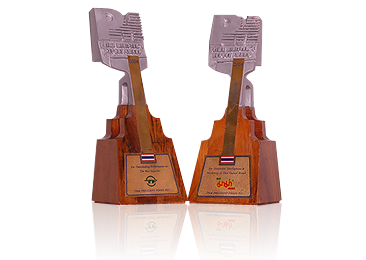 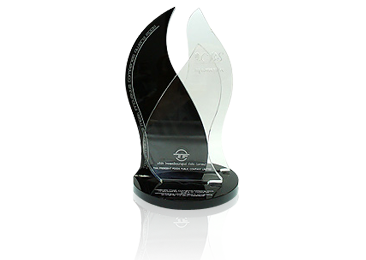 - For Outstanding Performance as the Best Exporter in Thailand. 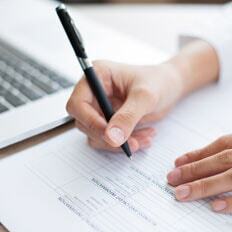 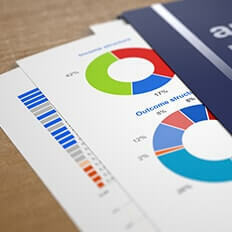 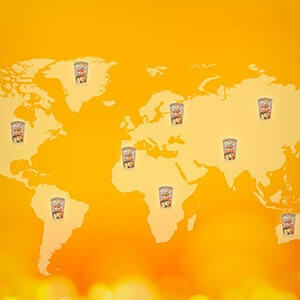 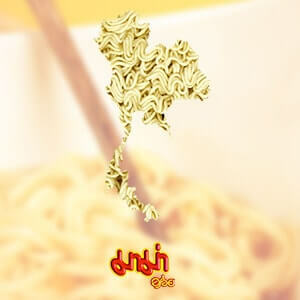 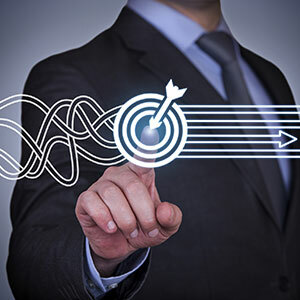 - For Distinctive Development and Marketing of Thai Owned Brand Export. 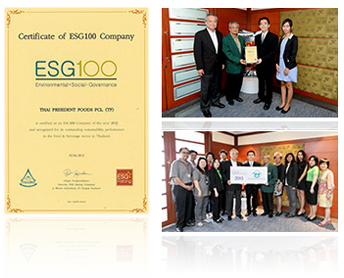 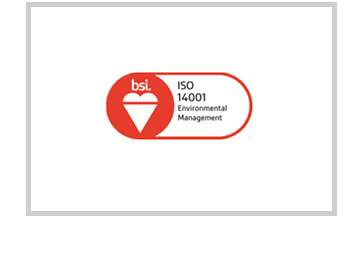 Thai President Foods Public Company Limited has been certified of ISO 14001:2004 (Environment Management System) by SGS (Thailand) Limited. 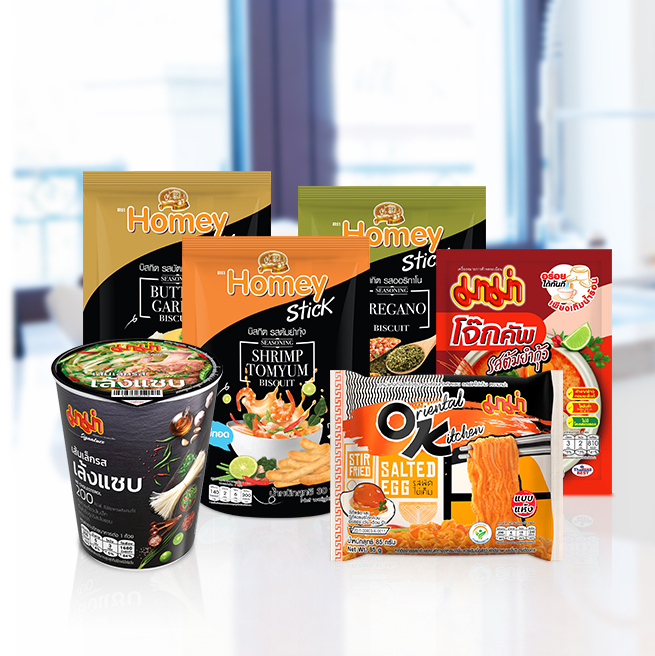 Scope : The Processing of instant noodle, Seasoning, Retort able pouch, Biscuit and Wafer. 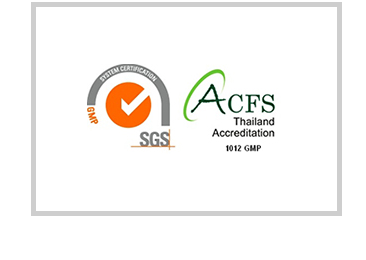 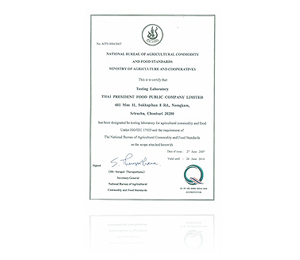 Thai President Foods Public Company Limited has been certified of ISO 9000: 1994 (Quality Management System) by SGS (Thailand) Limited. 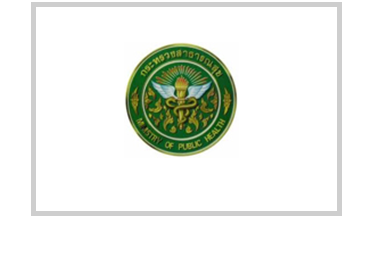 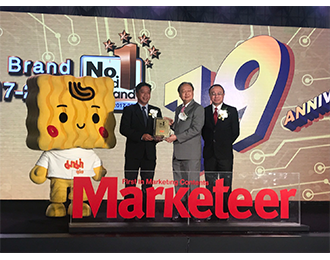 Thai President Foods Public Company Limited has been certified of Good Manufacturing Practice (GMP) by Food and Drug Administration Thailand.